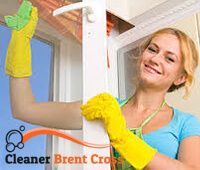 Our company is dedicated to delivering spring cleaning services in Brent Cross. We are one of London’s most effective cleaning companies that achieves outstanding results when it comes to thorough cleaning. We use the latest cleaning equipment and this gives us the opportunity to spend less time cleaning because our solutions are very powerful. We work hard to kill bacteria and eliminate grime and stains. If you need spring cleaning, don’t wait for later. Make sure to contact our call centre and reserve a cleaning appointment. We’ll be happy to serve you. At our company, every cleaner is certified and every project we work on is attended to with great care. Therefore there is no doubt our spring cleaning is effective. People book our spring cleaning service for many reasons and at different times of year. What they have in common is that they all want to clean and sanitise their properties. Parents want to make sure their home is safe for their children. Pet owners want to eliminate all bad stains and smells caused by their pets. Whether single or engaged, everybody feels the need to give their home a deep clean. And that’s what we are here for. Our mission is to remove dirt and grime from every surface and we take special time to clean the tops of appliances, counters, cabinets and other furnishings; the area under beds, sofas, cabinets and other furnishings; the area behind the toilet, etc. In addition, we clean all common areas and rooms, including floors, baseboards, windows (from inside), mirrors, sinks, toilets, shelves, cabinets, etc. We guarantee no area will be left unattended. When we are finished, you can simply go on with your life. We promise to use non-toxic cleaners throughout the job. 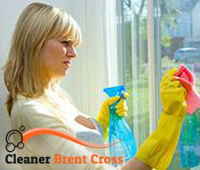 If there is anything else you would like to know about our spring cleaning services in Brent Cross, make sure to get in touch with us. Our phone lines are open every day and night. Feel free to call us.